An historical defense of the Reformation principle of sola Scriptura, Volume 2 of 3. By William Webster. 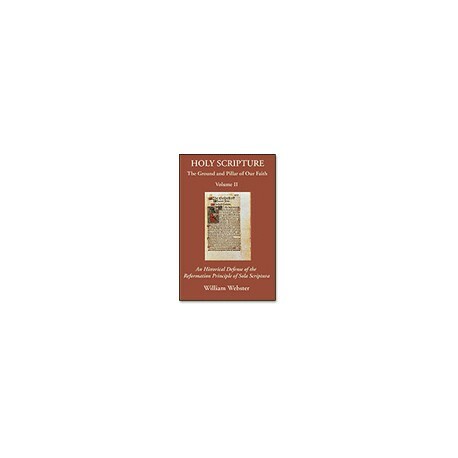 In this Volume, William Webster addresses the common historical arguments against sola Scriptura , demonstrating that the principle is, in fact, eminently historical, finding support in "the unanimous consent of the fathers." Webster also provides a detailed examination of the question of the canon from the time of Christ to the Reformation in which he answers the spurious arguments of Roman apologists that the Church of Rome infallibly established the canon in the fourth century.